Ask the Lord to show you the ways he has been good to you. Wait silently and listen for his voice. When something comes to mind simply thank him for it. · Look at the request of the ten lepers. What do you think they meant by 'have pity on them'? Do they seem entitled to you? Why or why not? · What was the reaction of the one that returned? How do you think he felt and why? Why did the other nine not return? · This week ask God to show you the places that he has “healed you” and 'had pity on you'. Respond in the same heart felt way as the leper in the story. Don’t be bashful or ashamed to be expressive! · What are the times that you struggle to be thankful? Ask the lord to help you and give you a thankful heart that responds in action this week. · Can we be thankful to God and thankless to people around us? Ask God to help you see and express thanks to the people he has placed in your life. Consider the power of a secret lie. On one hand it’s the ultimate attempt to manipulate another. Weather that’s an attempt to manipulate or control a situation or an opinion or even an outcome, it’s still a manipulation. Have you ever tried to keep a lie secret? What power did it have over you? Often it eats at us and it’s not long before we realize that the cost of a secret lie outweighs the consequence we were trying to avoid, or at least we desire peace even if the consequence stinks. Have you ever considered confession like this; If God already knows my sin then why do I need to confess? I wonder if that is even the right question. I wonder if we see confession as the gift that it is. Confession is the beginning of humbling oneself followed closely by repentance. Confession is the acknowledgement that we've done wrong from a wrong heart and we're in great need of God’s forgiveness and restoration. A restoration that was paid for so dearly with Jesus own blood. Confession cleanses us from the guilt we feel and we can hear the words of forgiveness from the God we've sinned against. Thank God he offers us confession and walks with us in repentance. It's the gift of freeing us from shame and guilt! Key Verse: Psalm 32:5 “Then I acknowledged my sin to you, and did not cover up my iniquity. I said, “I will confess my transgressions to the Lord.” And you forgave the guilt of my sin." As you read this passage about Peter’s restoration, ask God to reveal to you your sin, and any relationships in your life that need restoration confession and forgiveness. · In John 21:15-19; Why do you think Jesus asks Peter if he loves him three times? Why does Peter need to tell Jesus he loves him three times? · Is there a secret shame in your life that you need to confess? Ask God to reveal it to you? · What is revealed in this passage about the nature and character of Jesus? What do you think he has to say to you about your sin and shame? This week focus on confession each and every day. Ask God to reveal to you your sins and be specific, name them before him as they come to your attention and ask for his forgiveness and help with any repentance that is needed. Have you ever marveled at how God did something in your life that you did not plan for? When we read the story of Mary, the mother of Jesus, it's hard not to marvel at God, who he is and all that he does. One look at the genealogy in Matthew 1 and Luke 3 reveals God's incredible sovereignty throughout history to bring about the birth of Jesus the Messiah! Consider this 13 year old girl and her great faith and submission to God's will in the face of incredible opposition and uncertainty. It certainly qualifies as miraculous. The thing that inspires the songs of both Mary and Zechariah (father of John the Baptist) is the realization of who God is, God's “character”. This week we will be focusing on the character of God and giving him the praise and adoration that he is due. As you read and meditate on Scripture this week ask God to reveal himself to you. As you see Him through the word as well as in the world around you, give Him praise! · Make a list of all the things that God does in this passage. What does each of these things reveal about who God is? For example: Luke 1:41 "God caused the baby leaped and filled Elizabeth was filled with the Holy Spirt. What a gift undeserved and a joy or reassurance, clearly God is so very gracious!" Special prayer discipline: Ask God to reveal himself to you in specific ways throughout the day, each day. When you see him at work in scripture and the world around you, name the character quality that is revealed. Give him praise and thanks when you identify it, no matter where you are or what you are doing. Don’t worry who can hear you! Here is an Idea: Keep memorizing the Key verses. You might also consider asking a friend at church, or a spouse where they are seeing God at work and praising him together! As we read the bible there is no debating that God desires a relationship with his people. 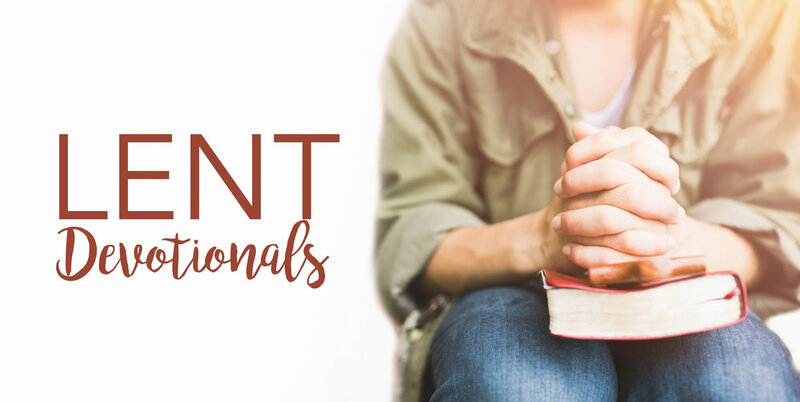 This week and over the next 40 days we hope that you will participate in these devotions in a “talk with Jesus kind of way”, not an academic “complete the assignment” kind of way. That will mean simply talking with Jesus as you read, throughout your day, and in a deliberate place and time that you have made to meet with him. Make a decision today to carve out time from your regular daily activities. How much is up to you. Ask the Lord what he wants and respond to him. 10, 20, 30 minutes? Do what you think he is telling you. As you ask questions of what you are reading, don’t just ask them to yourself or friends, but ask God to show you their meaning and ask God to speak to you. Over the next week and in the days to come we encourage you to stop and listen for God's voice. When you do these devotions, we hope that you will draw near to him and we are certain that he will draw near to you. Listen for his voice, we are certain that he is with you! Take some time at the beginning to simply thank God for whatever comes to mind, ask him to help you spend the next few minutes with him. Confess your need for Him and desire to draw near to Him. · What about Moses’ meeting with God is special and unique? In what unique ways does the Lord want to meet with you and you with him? · Looking at Exodus 33:13, Ask the Lord to “teach you his ways, so that you can know him"
· Make a list of God's ways in this passage and the other passages listed. How do you see God's ways in your life this week? Ask God to reveal his ways to you. Special Prayer Discipline: In your designated times of prayer make time to “listen” for God's voice. Simply ask him to speak to you. Make note of what he tells you and pray about whatever comes to mind. Here is an Idea: Be sure to pray the key verse this week and consider memorizing it! But as we wait for the coming of the Prince of Peace, we must not forget about another kind of peace that is so needed—the peace in our own souls. How many folks seem amazingly concerned about “world peace”, yet inside they are full of hatred, anger, and anxiety? To put it another way, they have no peace in themselves. This is why Jesus’ words above are so important to the believer. It is true that this world will bring to us trials and tribulations, but He tells us not to fret about these things. Instead we are to “be of good cheer”. Why? Because He has already overcome the world. Take the season of Advent with you by listening to our Advent playlist on Spotify. “Joy to the world, the Lord has come”. What do you think… is it the best known Christmas song out there (Silent Night and Angels We Have Heard on High would be right up there)? The strange thing is this—we sing about joy to the world, and yet most folks struggle to even define what joy is. We know it isn’t the same as “happy”, because happy usually depends on our circumstances. If the weather is awful, if I am sick, if my kids are going bonkers, etc…….. I’m not usually happy. Turn it around: if it is a beautiful day, if my team won a game, if someone in my small group took a huge step of faith…..that stuff makes me “happy”. But joy is different, it is deeper. James says we can “count it all joy when we encounter trials of many kinds” (1:2). But let’s be honest, it is really hard to say “be happy” in the midst of life-crushing trials. When the Magi saw the star in the sky, they had great joy, because they knew that the star was pointing to the King of the World and His arrival. The beauty of Christ and His gospel had come, and that was a reason for great joy. No matter what the circumstances may be, the reality that Jesus has come, and we are secure in Him, should bring a great smile (joy) to our souls. So this Advent season, “ponder anew what the Almighty can do”, and let that put a very deep seated JOY in your soul. In Fiddler on the Roof, there comes that great scene where Tevye asks his wife of many years, “Golde, do you love me?” The question sparks quite a dialogue. Golde, starts to recount all the many things that she has done for Tevye over the years they were married, and then sums it up with the question, “if that’s not love, what is?”. In answering that question, we actually come face to face with Christmas. Because Christmas shows us the true character of God’s love: not just a warm feeling, but an incredible action. How often do we look at the circumstances of the day, and in all earnestness ask God, “do you love me?” Because often life hurts, and things come our way that are painful. And we know there is a God in heaven who is sovereign over the earth….. so why, if He loves me, does He allow these kinds of things to happen to me? The answers to the specific trauma of the moment may not be easy to discover, but there is one thing that God wants all of us to be sure of…. that Christmas should once and for all settle the question of whether or not He loves us. Think about that passage above in Philippians. Jesus left a throne of glory to become a human, and He did it in the most humbling of ways. He journeyed from a throne to a manger to a cross. And He did this all for you. The goal of it all was to bring you into a family that is eternal. It was an incredible sacrifice, but He willingly did it for you. It is kind of like the movie Groundhog Day. Every day we get up, read/watch the news, and then declare with a certain amount of sadness, “this world is hopeless”. North Korea is going nuts, the sexual improprieties of our nation are on full display, politics has divided our country in the meanest of ways, and the list goes on and on. To be honest, without Jesus, the conclusion that our world is hopeless is spot on. But as we celebrate that time of year when we focus on the birth of our Lord Jesus, one thing is for sure—Christians are a people full of hope (no matter what is happening in the world around us). Let’s make sure though, that we are speaking the same language. Hope is not the same as wish. “Wish” is a word we use when we would like something to happen that would bless us…..be we don’t really know if it will happen or not (such as, “I wish I could win the lottery”). “Hope” is something totally different. It is having a certainty about something which has yet to occur. That is why in the Bible, our great hope is in Jesus, who arrived in a manger and broke free of the grave. The hope of our future resurrection from the dead is the greatest gift that began on a Christmas years ago. We don’t “wish” for this, we are certain of it—that’s hope. 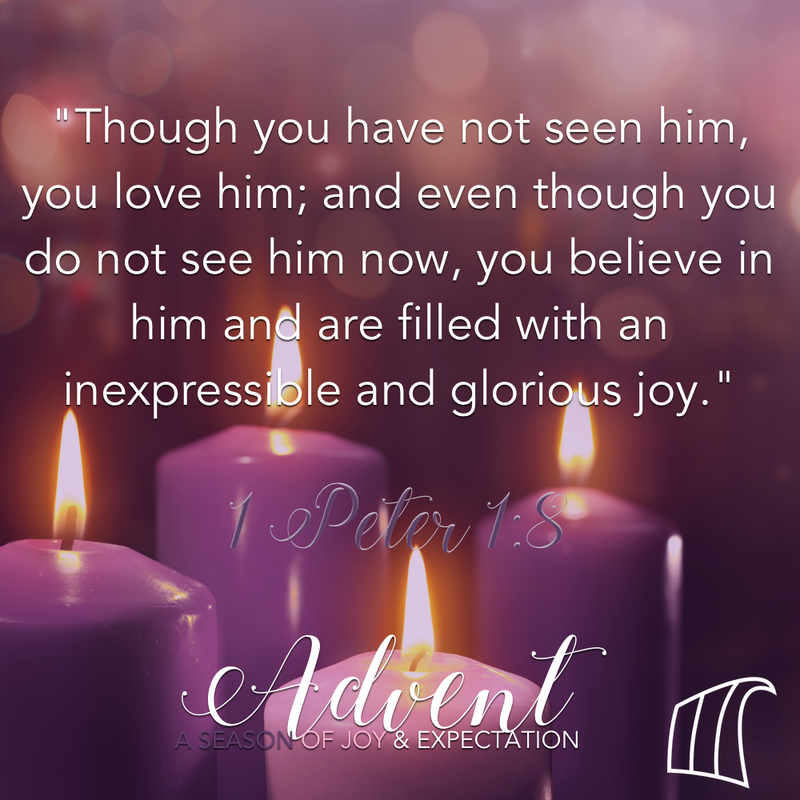 So during this first week of Advent, take some time, slow down, and let your soul meditate on the hope that you have in Jesus. Hope of ultimate healing. Hope of eternity with the Father. Hope of a heavenly city. Hope of a life free from tears, pain, and death. These are not wishes, they are certain. And that is why Jesus’ return is called “our blessed hope” (Titus 2:13). The DEC Kids program is undergoing some exciting changes this Fall! Parents have authority and the primary responsibility to disciple their children (Eph 6:1-4). With that in mind, we decided to make a change. Instead of going straight to Sunday School when they arrive, children will worship with their families for the first part of the service, and then be dismissed to Kids’ Church. Why the change? Was there something wrong with our Sunday School program? Well, no…the team has an amazing heart for the Lord and for children, and kids were getting to know God, scripture and each other. But having the kids separated from adults all the time left little opportunity for children to be around parents or other adults who model prayer and worship. We’ve all seen times, for better or worse, when kids learn more through what we do (modeling) than what we say. Remember that time Johnny commented on someone’s driving, because he’s heard you do it? Or the time Susie said, “I need some alone time!” to her sister, because you’ve said the same thing to her? When our girls were younger, they would sometimes sit down next to me during my quiet time in the morning, and imitate me reading the Bible/journaling. I never taught them to – it’s just how kids naturally learn. You may be wondering why we don’t just dismiss the kids to Sunday school…why change to Kids’ Church? What is Kids’ Church, anyway? Kids’ Church is a mixture of whole group teaching and small group activities. Kids in grades 1-5 will hear the same message (similar to how adults hear the same sermon). Before the message, they gather in small groups of 8-10 kids to do some introductory activities. Then they join together to hear the Bible story and learn a key passage or memory verse. Following the large group time, they go back to their small groups for more activities that reinforce what they learned in the large group. (Click HERE to learn more about the curriculum we’re currently using – The Gospel Project for Kids). Kids’ Church will be held in the Function Hall and adjacent classrooms. We hope to begin by September 24th.That start date will be dependent upon volunteers. If you have any questions, or would like to get involved, please contact katie.brouse@durhame.org / 868-1027 x203. We’re looking forward to a great year with you and your kids! Donations can be brought to the Outdoor Service and dropped off at DEC. Donations will be accepted on Monday, September 11th as well at DEC. They are especially low on underwear and socks for children. On August 25, Hurricane Harvey made landfall directly over Rockport Texas. At that time it was a category 4 hurricane. Moreover, it has continued to rain for the last five days. The devastation is overwhelming. Relief and support will surely be needed over the coming months. At this point in the disaster all work is considered rescue. The second phase will be recovery. Third phase is assessment. The fourth phase will be rebuilding. Many of these stages will overlap to some degree, however each stage brings a level of stabilization. We want to stress this will be a long duration relief effort. To that end, DEC want to share with you where we are in the relief planning as a partner in sharing this burden. First, we have been in touch with a number of people we know, and live, in the affected areas. They will be helping us to partner with communities of faith in Texas. This is vital. These folks know the history, needs, and layout of resources for recovery and rebuilding. Second, we are reaching out to our sister churches on the Seacoast of NH. In order to build an adequate sustained effort, we need to work together. Skills and resources differ from church to church so, again, this is vital to a successful recovery and rebuild. Third, we are reaching to bigger organizations in hopes of sharing our resources as well as their resources being shared with us. Complementing, not competing, is essential in restoring what has been lost. Humility is key. In the end, how we do what we do, will be just as important as what we do. On Sunday Sept. 3, we will be having an informational meeting about relief efforts. The meeting will be from 6-7:30 pm. If you think you might be interested in helping, this meeting is for you. Even if you don’t go to Texas, your service to the people of Texas can be done here. We will continue to keep you informed of developments and opportunities as they arise.